W. W. Norton & Company, 9780393338751, 240pp. In an eye-opening sequence of personal meditations through the cycle of seasons, one of our most celebrated storyteller-poet-naturalists awakens us to the world at dawn. 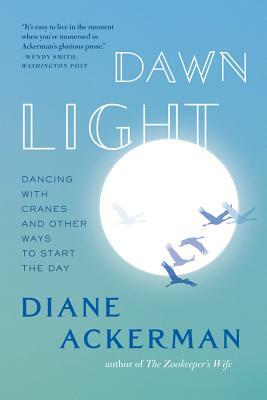 Diane Ackerman draws from sources as diverse as meteorology, world religion, etymology, art history, and poetry in order to celebrate that moment in which the deepest arcades of life and matter become visible. From spring in Ithaca, New York, to winter in Palm Beach, Florida, Dawn Light is an impassioned call to revel in our numbered days on a turning earth. A Los Angeles Times Favorite Book, Booklist Editors Choice Award, Library Corner Best of List, and San Francisco Chronicle Best Book of 2009.